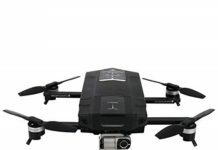 If you have been looking for the best drone with camera under 300, you have come to the right place. 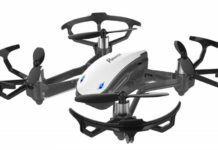 The Contixo F20 drone is the perfect quadcopter for that price. 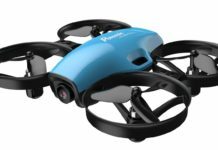 It meets the needs of beginner, as well as advanced drone pilots. You see, it has so many features. But first, this is an aggressive-looking drone. You ask me and I would say that it looks like a predator or an attack drone. The green markings on the black body make the drone look stylish. But is that all there is to the drone? It is quite feature-packed as we have said. 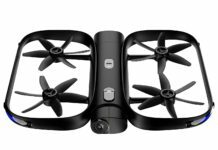 This drone weighs less than 1 pound, is black in color with green markings. It is sold preassembled, so you do not need to do much before you can have it in the air. When packing the drone, you do not need to remove the propellers. That way, the drone is almost ready for flight when you get to your destination. It is also sold with a nicely padded carry pack. If you should drop the carry pack, there will be no damage to the drone from the impact. Contixo makes many drones with brushless motors. Such motors are not only powerful, but they also have a low noise level. They also last longer than the brushed motors. You can fly your drone in the backyard without worrying that you will wake up your neighbors. First thing, this is a camera drone. This leads us to the next feature – the first person view. To use this feature you have to download the Contixo app, which is free to download anyway. It is a seamless app and works smoothly with different mobile technologies. With this app, you can have a view of what the drone is seeing while in the air, just as if you were inside the drone. This is a full HD, 1080P camera. Resolution is not the highest, but it is good for casual videos and photographs. This is an adjustable camera and the connection range through the 5GHz Wi-Fi is 300 meters. You will love the GPS-assist flight that enables the drone to fly back home if the battery runs low. This feature also enables the drone to go on follow me mode so that it follows you around. You will love the hovering mode where you set the drone at a certain height and hold it there to shoot video footage from that level. The Contixo F20 comes with a modular battery. What this means is that you can charge this battery when it is out of the drone. Thus, if you have a spare battery, you can use it while the first one is charging. The flight time for one battery is 15 to 20 minutes. The charging time for the battery is 180 minutes. On your smartphone, you can draw the flight path that you want the drone to follow. It will do that very well. You can also make the drone fly in a clockwise direction. Also called the Orbit Mode, you can have the drone circle around you shooting video footage. You can also do it to wow your friends out of their wits. You can access every feature of the drone through the controller. It also has a smartphone holder for your FPV experience. Besides, the controller connection range is 600 meters. That is as long as they come. For the first time, I have no complaint about a drone. I love this one to bits and I do not think I will ever outgrow it. It is small but it can do impressive things. Lucy M.
I am a speed junkie. If it has a motor, I will push it to the maximum limit. This drone is fast at 60km/h and believe me, I have flown it at the highest speed. Sean H.
I have a large garden at home where I grow vegetables. I use this drone to patrol the garden, to scare away the birds so they do not destroy my vegetables. So far, it has been doing an excellent job. Edie R.
Good camera, light in weight, nice and responsive controller… what more could a person ask for? I love everything about this drone. If you ask me, I believe it to be very affordable. Bruce E.
The only regret I have about this drone is the long battery charging time. Even if you buy three spare batteries, you will still have to wait as the charging time is quite long, at 180 minutes. Everything else is perfect. Joe D.
I have flown my Contixo F20 in windy conditions and I loved how she handled herself. She is beautiful in performance and in durability. Vin R.
Who Should Buy The Contixo F20? Anyone, as the drone is good for beginners as well as experienced pilots. 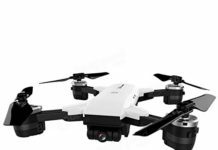 You are set for quite a thrill when you buy this drone. The user manual is quite easy to follow and the drone is also easy to fly. It might not be able to do rolls and flips, but that does not diminish its value one little bit. 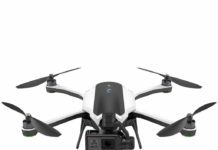 If you want the best drone with camera under 300, this is it for you. 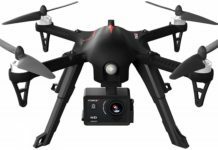 It has almost all of the features that a $1000 drone comes with, save for the obstacle sensors and 4K camera. 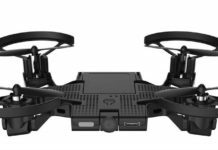 With features like Orbit Mode, FPV, long control range of 600 meters with the controller and 300 meters on Wi-Fi, this sure seems like a very advanced drone. The price is affordable, camera takes footage of decent quality and the battery lasts a fair amount of time. 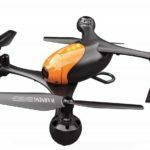 If you buy this drone for yourself, a friend or family, it will be money well spent.